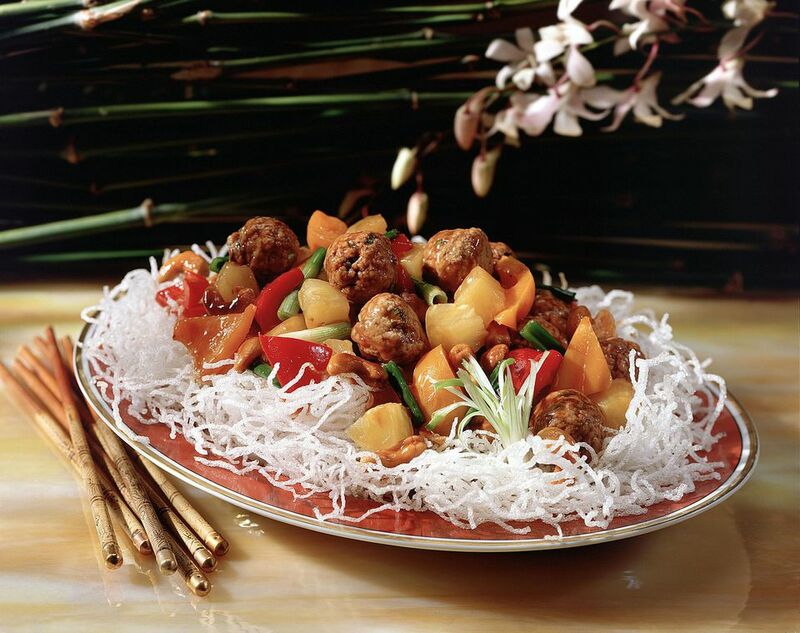 Ground beef meatballs are cooked with fruits and bell peppers in this wonderful recipe for Tropical Meatballs. Top it with toasted coconut for a taste of the islands. I chose to use frozen precooked meatballs in this easy recipe for two reasons. One, because the ingredients list is already long enough! and two, because any recipe made with ground meat must be cooked in a skillet to remove excess fat before it's added to the slow cooker. I didn't want that extra step in this recipe. Serve this recipe over hot cooked rice, with a glass of white wine or iced tea. This is really a one dish meal, so there's no need to add anything else. Enjoy. In a large skillet, cook the onion in the olive oil, stirring frequently, until crisp tender, about 3 to 4 minutes. Place the mixture into a 4 quart slow cooker. Add the meatballs, stock, green and red bell pepper, and undrained pineapple tidbits. Cover the crockpot and cook on low for 5 to 7 hours. Combine the lemon juice, soy sauce, water, and cornstarch in a small bowl and mix well. Add this mixture to the slow cooker along with drained mandarin oranges. Cover and cook on high for 15 to 20 minutes or until the sauce is thickened. Stir in 1/2 of the coconut and serve the beef mixture over hot cooked noodles, garnished with the remaining coconut and the cashews.